Here are some Sword Art Online: MD terminologies used for team building and commonly mentioned from our Tier List's quick notes section. - Your character's raw SS3 damage with attack stats, self-buffs and passive effects. MP cost and crit rate are also considered. - Regular attacks can also contribute some damage depending on their weapon. What Is DPS Burst Damage? - Burst damage refers to the damage done by your character's SS3, divided by his or her attack animation's duration (in seconds). Crit Rate may also be a factor, but MP gain will not be considered here. - So high damage output + short attack animation = high burst damage. - Kirito [OS] (sword wielder) got some high damage output, but because of his SS3's long attack animation, burst damage is a bit lower. 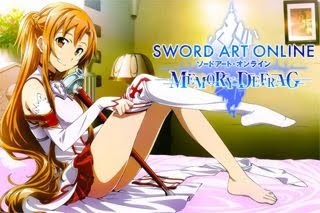 - Core DPS Units with high burst damages as well, like Asuna [OS] (rapier wielder) and Silica [OS] (dagger wielder) for example. - Mace, Rod, Bow, and Gun wielders usually have high burst damages but not recommended (in my opinion) as Core DPS Units and do regular attacks due to their lower Speed Perks (unless they just need some few hits to fire another SS3). 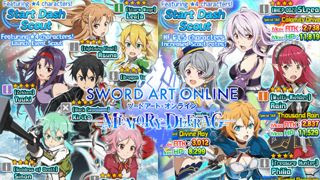 - Example: Sinon [OS] (gun wielder) and Lisbeth [OS] (mace wielder) can do higher burst damages among all OS characters and despite having lower DPS rating or score. These type of characters are also recommended to get faster clear time, and shines best if used with a team mate (Core DPS unit) that can generate faster combos for them. - For every 10 hits or combo count that you can create, your team can get +5% damage (so a 100 hit Combo is equal to +50% damage!). - This is really important if you want to get faster clear time, so parry and dodge well to avoid getting hit, or else your combo count will reset to 0. What Are These Speed Perks? What Is a Main Core DPS Unit? - Characters with high DPS output, usually handles combo generation, and with better Speed Perks. - Usually a Dagger, Lancer, Rapier, Dual Blades or Sword wielder. - Someone that you can switch into if your team runs out of MP and the battle is still going on. Use their speed to get faster MP gain then unleash another SS3 to finish off enemies. - Alternatively, you can also use them longer to sink in more regular attacks and SS3s midway, then switch to your Nukers to quickly end the battle. What is a Support Unit? - A character that specializes more on supporting your team like giving team Attack+ Buffs, Speed+ Buffs, Heal, and more. - Some characters can also use debuffs, lowering certain stats of enemy targets like "Defense Down". - Refer here for a List of Support Units. What is a Utility Unit? - We don't use this term much because it's very situational and some may or may not work depending on the enemy you are up against and how you execute it. - These are units that can do some extra effects while using their SS3s like Take Downs, Lock Downs (aka Stagger or Frame Freeze), Teleport behind target, and more. - These are pretty hard to interpret with numbers for rating, so we will just comment them up as added info. What is a Combo Generator? - Usually your Main DPS Units. - Units with high hits/second on their SS3s. Can be used anytime during battle, but more effective if used from the start to generate fast combos (against single targets only like bosses). - Note that some characters with wide AoE SS3s can also be considered as Combo Generators because they can use enemy mobs instead to create high combos, like Eugeo [Born Genius]. What is a Support Nuker? - Usually your Burst Damagers. - SS3s with average or low hits/sec. Still strong characters especially against their counter elements, but best played with combo generators to deal stronger nukes at higher combo counts. What are the Differences Between a Comboer and Support Nuker? - Combo Generators: Most of them, especially Tier S or lower, needs combos to be on par with Support Nukers. - Support Nukers: Almost doesn't need combos to be on par, because their raw or burst damage is already high (the trend is usually this way to compensate their low hits/sec, lower speed perks, or high MP requirement). - Combo Generators: The longer the battles goes, the stronger they are. - Support Nukers: Definitely weaker at this point, BUT!, if you switch them and use your Combo Generator's Combo count bonuses, Support Nukers can also achieve even higher damages! - Assuming both units are under the same tier. - Damage output is on par with each other, but combo generators can solo effectively because of Combo bonuses. Support Nukers can also effectively solo for short battles before they run out of MP, or against their counter element, but recommended with teams in general to increase their damages further at higher combo counts. If you read all terminologies above, you definitely now have some ideas on how to build teams. - When choosing, also consider the element of your target to get more damage multipliers. - Fire > Wind > Earth > Water > Fire (Holy < > Dark) Note that OS Characters and some selected characters have a Battle Skill or Skill Slot that increases their damages against Neutral element enemies. - Players with limited characters, usually new F2P players. - In general, your best choice is to play with a DPS unit (Dagger, Lance, Rapier, Dual, or Sword wielder). - Players with limited pool of characters. - Get at least 1 Main DPS Unit, the other one can be any: another DPS, Support Nuker or Support unit (preferably with elemental advantage). - Get at least 1 Main DPS Unit, then customize your team the way you like it, according to your play style on how to defeat bosses. - Example 1: Main DPS Unit, 1 or 2 DPS/Support Nukers. - Example 2: Main DPS Unit, 1 DPS/Support Nuker, and 1 Support Unit. - It is an option from the Menu that can be turned off or on while in battle. - Some characters will get longer SS3 range when turning off Auto-Approach. Some can also get extra effects like teleporting behind enemy when used from a far. - After parrying an attack, you can switch to your other characters to use their SS3 with 100% crit rate! Just make sure that they have enough MP though, or else they will just do a regular attack or their SS1. - This is a good tactic to maximize your SS3's damage and to avoid misses. What is Meta? or Meta Game? - Something that you should aim for, the objective of the game, or an idea where you can base your team upon. - Just tap tap tap attack and spam SS3s, let the healers do their job~LOL! - Fast clear time with zero damage taken! So now you need to learn and memorize boss attack patterns, how to parry and dodge well, and more (even if you are not into ranking events, you still need these to complete some missions with nice rewards like Daimonds, Medals, and more). - Player skill also comes in play now. - Probably the same, team composition is where things will change depending on the new units' SS3 effects and capabilities.